Among us, he was known as ‘Piatigorsky’, not Alexander or Professor Piatigorsky. During my time as an undergraduate at SOAS, he left an impression on me – his remarkable breadth of scholarship and irreverence for the profane – that I am grateful for. Piatigorsky was a professor at the London School of Oriental and African studies (SOAS) until his retirement in 2001. (Sir Isaiah Berlin had intervened to ensure his appointment after he fled the USSR.) The topics on which he wrote ranged from the failures of totalitarian communism to Buddhist thought and even to Freemasonry. Piatigorsky was also a talented linguist – he compiled the first Russian-Tamil dictionary – and a novelist. Source. Piatigorsky disliked traditional academic jargon and for most of his life he upheld the principle that scholars should publish as little as possible on the grounds that publishing interrupts thinking. His lecture style was lively and distinctive: he was able to speak with considerable effect about the most abstruse and difficult concepts. Pacing back and forth, smoking, when it was still permitted, he sometimes stopped to observe his cigarette as it burned, pausing before making the next point. He was never known to consult notes. Source. There is no doubt that Piatigorsky was a brilliant lecturer. He never referred to written notes, but delivered what always appeared to be carefully crafted and absorbing talks in a fluent, almost literary form of English. He spoke loudly and clearly, but with a thick, drawling Russian accent, as he paced animatedly about the room. Source. Watch, Philosopher Escaped, a documentary about Piatagorsky. I absorb ideas better when I take notes. Here are my notes on Heidegger’s essay, The Question Concerning Technology 1. 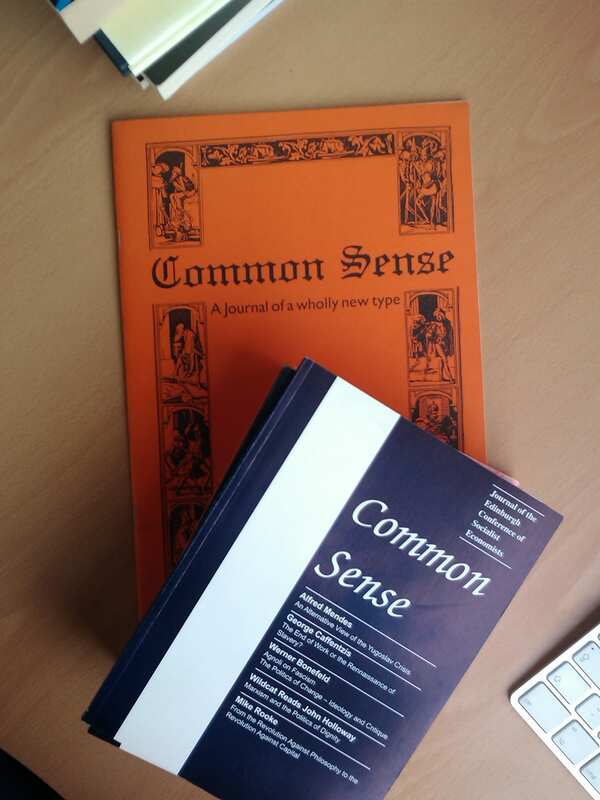 Elsewhere, there’s also a comprehensive guide to the essay and a useful blogged summary. I’ve got to say, it’s one of the most difficult texts I’ve ever read, despite going between two translations in the hope of a little clarity. However, while he seems to spin a syntax of his own at times, Heidegger’s overall message is pretty clear and simple: The poetic roots of technology have been obscured by mechanisation that has compelled us to harness nature’s energy into an accumulated homogeneous reserve that conceals the true nature of things. In this world, humans too, have become resources, slaves to a process that constructs an appearance of truth rather than a revelation of the real. The solution is to question and confront technology through its forgotten roots in the arts. Questioning builds a way. We would be advised, therefore, above all to pay heed to the way, and not to fix our attention on isolated sentences and topics. The way is one of thinking. All ways of thinking, more or less perceptibly, lead through language in a manner that is extraordinary. We shall be questioning concerning technology, and in so doing we should like to prepare a free relationship to it. The relationship will be free if it opens our human existence to the essence of technology. When we can respond to this essence, we shall be able to experience the technological within its own bounds. Heidegger is concerned with questioning the essence of technology and in particular, modern technology, which he understands as something different to older, pre-industrialised forms of technology. The difference, to put it crudely, is that our technological relationship with nature was once as one of steward but now is one of both master and slave. The purpose of questioning technology is therefore to break the chains of technology and be free, not in the absence of technology but through a better understanding of its essence and meaning. He suggests that there are two dominant ways of understanding technology. One is instrumental, to view it as a means to an end, while the other is to see it as human activity. He thinks they belong together. For to posit ends and procure and utilize the means to them is a human activity. The manufacture and utilization of equipment, tools, and machines, the manufactured and used things themselves, and the needs and ends that they serve, all belong to what technology is. The whole complex of these contrivances is technology. Technology itself is a contrivance—in Latin, an instrumentum. The current conception of technology, according to which it is a means and a human activity, can therefore be called the instrumental and anthropological definition of technology. The instrumental view rests on a view of causality, which he breaks down into four Aristotelian causes: the material, the form, the end, and the effect. These four aspects of causality are in fact four aspects of ‘being responsible for bringing something into appearance’. They reveal that which was concealed. They are different but united by their revealing. What has the essence of technology to do with revealing? The answer: everything. For every bringing-forth is grounded in revealing. Bringing-forth, indeed, gathers within itself the four modes of occasioning— causality—and rules them throughout. Within its domain belong end and means as well as instrumentality. Instrumentality is considered to be the fundamental characteristic of technology. If we inquire step by step into what technology, represented as means, actually is, then we shall arrive at revealing. The possibility of all productive manufacturing lies in revealing. Technology is therefore no mere means. Technology is a way of revealing. If we give heed to this, then another whole realm for the essence of technology will open itself up to us. It is the realm of revealing, i.e., of truth. Such knowing provides an opening up. As an opening up it is a revealing. Aristotle, in a discussion of special importance (Nicomacheun Ethics, Bk. VI, chaps. 3 and 4), distinguishes between epistémé and techné and indeed with respect to what and how they reveal. Techné is a mode of alethéuein. It reveals whatever does not bring itself forth and does not yet lie here before us, whatever can look and turn out now one way and now another. Whoever builds a house or a ship or forges a sacrificial chalice reveals what is to be brought forth, according to the terms of the four modes of occasioning. This revealing gathers together in advance the form and the matter of ship or house, with a view to the finished thing envisaged as completed, and from this gathering determines the manner of its construction. Thus what is decisive in techné does not at all lie in making and manipulating, nor in the using of means, but rather in the revealing mentioned before. It is as revealing, and not as manufacturing, that techné is a bringing-forth. Thus the clue to what the word techné means and to how the Greeks defined it leads us into the same context that opened itself to us when we pursued the question of what instrumentality as such in truth might be. Technology is a mode of revealing. Technology comes to presence in the realm where revealing and unconcealment take place, where alétheia, truth, happens. Heidegger pre-empts the accusation that this view no longer holds true for modern, machine-powered technology. In defence, he argues that modern technology, in its mutual relationship of dependency with modern physics, is also ‘revealing’. Modern physics, as experimental, is dependent upon technical apparatus and upon progress in the building of apparatus. The establishing of this mutual relationship between technology and physics is correct. But it remains a merely historiological establishing of facts and says nothing about that in which this mutual relationship is grounded. The decisive question still remains: Of what essence is modem technology that it thinks of putting exact science to use? What is modern technology? It too is a revealing. Only when we allow our attention to rest on this fundamental characteristic does that which is new in modern technology show itself to us. But does this not hold true for the old windmill as well? No. Its sails do indeed turn in the wind; they are left entirely to the wind’s blowing. But the windmill does not unlock energy from the air currents in order to store it. In contrast, a tract of land is challenged in the hauling out of coal and ore. The earth now reveals itself as a coal mining district, the soil as a mineral deposit. The field that the peasant formerly cultivated and set in order appears differently than it did when to set in order still meant to take care of and maintain. The work of the peasant does not challenge the soil of the field. In sowing grain it places seed in the keeping of the forces of growth and watches over its increase. But meanwhile even the cultivation of the field has come under the grip of another kind of setting-in-order, which sets upon nature. It sets upon it in the sense of challenging it. Agriculture is now the mechanized food industry. Air is now set upon to yield nitrogen, the earth to yield ore, ore to yield uranium, for example; uranium is set up to yield atomic energy, which can be unleashed either for destructive or for peaceful purposes. This setting-upon that challenges the energies of nature is an expediting, and in two ways. It expedites in that it unlocks and exposes. Yet that expediting is always itself directed from the beginning toward furthering something else, i.e., toward driving on to the maximum yield at the minimum expense. The coal that has been hauled out in some mining district has not been produced in order that it may simply be at hand somewhere or other. It is being stored; that is, it is on call, ready to deliver the sun’s warmth that is stored in it. The sun’s warmth is challenged forth for heat, which in turn is ordered to deliver steam whose pressure turns the wheels that keep a factory running. All technology reveals, but modern technology reveals not in the unfolding poetic sense but as a challenge; it sets upon nature and expedites its energy by unlocking it. The revealing that rules throughout modern technology has the character of a setting-upon, in the sense of a challenging–forth. Such challenging happens in that the energy concealed in nature is unlocked, what is unlocked is transformed, what is transformed is stored up, what is stored up is in turn distributed, and what is distributed is switched about ever anew. Unlocking, transforming, storing, distributing, and switching about are ways of revealing. But the revealing never simply comes to an end. Neither does it run off into the indeterminate. The revealing reveals to itself its own manifoldly interlocking paths, through regulating their course. This regulating itself is, for its part, everywhere secured. Regulating and securing even become the chief characteristics of the revealing that challenges. Once unlocked, this energy (raw or in the form of machine-powered technology) is held captive as a standing reserve. The airliner standing on the runway is a stationary object ordered to be ready for take-off. However, this apparent mastery over nature’s energy is no such thing because we are challenged, ordered, to act this way. We, in fact, like the airliner on the runway, are situated in the ‘standing reserve’ as human resources. In this way, we are challenged by modern technology to approach nature “as an object of research” to reveal or “order the real as standing reserve”. Heidegger refers to this as enframing. Enframing is the essence of modern technology. Enframing means the gathering together of the setting-upon that sets upon man, i.e., challenges him forth, to reveal the actual, in the mode of ordering, as standing-reserve. Enframing means the way of revealing that holds sway in the essence of modern technology and that is itself nothing technological. On the other hand, all those things that are so familiar to us and are standard parts of assembly, such as rods, pistons, and chassis, belong to the technological. The assembly itself, however, together with the aforementioned stockparts, fall within the sphere of technological activity. Such activity always merely responds to the challenge of enframing, but it never comprises enframing itself or brings it about. There then follows a couple of pages which reflect on the relationship between physics and modern technology. As a 17th c. precursor to 18th c. modern technology, physics is a theory which sets up nature in a way that orders it in a coherent, self-serving manner. It is not experimental because “it applies apparatus to the questioning of nature.” The physical theory of nature is the herald of modern technology, which conceals the essence of modern technology. Technology then, in its essence as enframing, precedes physics. Modern physics… is challenged forth by the rule of enframing, which demands that nature be orderable as standing-reserve. Hence physics, in its retreat from the kind of representation that turns only to objects, which has been the sole standard until recently, will never be able to renounce this one thing: that nature report itself in some way or other that is identifiable through calculation and that it remain orderable as a system of information. This system is then determined by a causality that has changed once again. Causality now displays neither the character of the occasioning that brings forth nor the nature of the causa efficiens, let alone that of the causa formalis. It seems as though causality is shrinking into a reporting—a reporting challenged forth—of standing-reserves that must be guaranteed either simultaneously or in sequence… Because the essence of modern technology lies in enframing, modern technology must employ exact physical science. Through its so doing the deceptive appearance arises that modern technology is applied physical science. This illusion can maintain itself precisely insofar as neither the essential provenance of modern science nor indeed the essence of modern technology is adequately sought in our questioning. Heidegger’s use of language (or rather the way it is expressed in English translation) can be difficult at times. In the remaining few pages he discusses what enframing actually is, building upon the idea that as the essence of technology, it is therefore that which reveals the real through ordering as standing reserve. As discussed above, we humans are challenged forth (compelled) by enframing to reveal the real in a seemingly deterministic way (Heidegger refers to this as destining) that holds complete sway over us. However, technology is not our fate, we are not necessarily compelled along an unaltered and inevitable course because “enframing belongs within the destining of revealing” and destining is “an open space” where man can “listen and hear” to that which is revealed. Freedom is in “intimate kinship” with the revealed as “all revealing comes out of the open, goes into the open, and brings into the open… Freedom is the realm of the destining that at any given time starts a revealing upon its way.” Freedom then, is to be found in the essence of technology but we are continually caused to believe that the brink of possibility is that which is revealed in the ordering processes of modern technology to create the standing reserve, deriving all our standards from this basis. Freedom is continually blocked by this process of the destining of revealing which obscures the real. This is a danger. It is a danger because when the real is concealed it may be misinterpreted. When something is unconcealed it no longer concerns us as an object but, rather, as standing reserve “and man in the midst of objectlessness is nothing but the orderer of the standing reserve”. When the object is lost to the standing reserve, we ourselves become standing reserve and see everything as our construct, seeing not objects everywhere but the illusion and delusion of encountering ourselves everywhere. In truth, however, precisely nowhere does man today any longer encounter himself, i.e., his essence. Man stands so decisively in subservience to on the challenging-forth of enframing that he does not grasp enframing as a claim, that he fails to see himself as the one spoken to, and hence also fails in every way to hear in what respect he ek-sists, in terms of his essence, in a realm where he is addressed, so that he can never encounter only himself. But enframing does not simply endanger man in his relationship to himself and to everything that is. As a destining, it banishes man into the kind of revealing that is an ordering. Where this ordering holds sway, it drives out every other possibility of revealing. Above all, enframing conceals that revealing which, in the sense of poiésis, lets what presences come forth into appearance. Enframing blocks the truth and destining compels us to create order out of nature which we believe is the truth. This is the danger, not of technology, which itself cannot be dangerous, but rather of the destining of revealing itself. Enframing, the essence of technology then, is the danger. The threat to man does not come in the first instance from the potentially lethal machines and apparatus of technology. The actual threat has already afflicted man in his essence. The rule of enframing threatens man with the possibility that it could be denied to him to enter into a more original revealing and hence to experience the call of a more primal truth. Drawing on Holderlin, Heidegger believes that technology’s essence contains both the danger (enframing) and its saving power. How is this so? Enframing is not the essence of technology in the sense of a genus, “enframing is a way of revealing having the character of destining, namely, the way that challenges forth.” Recall that the revealing that “brings forth” (poiésis) is also a way with the character of destining. By contrast, enframing blocks poiésis. So long as we represent technology as an instrument, we remain transfixed in the will to master it. We press on past the essence of technology… The essence of technology is ambiguous. Such ambiguity points to the mystery of all revealing, i.e., of truth. On the one hand, enframing challenges forth into the frenziedness of ordering that blocks every view into the propriative event of revealing and so radically endangers the relation to the essence of truth. On the other hand, enframing propriates for its part in the granting that lets man endure—as yet inexperienced, but perhaps more experienced in the future—that he may be. the one who is needed and used for the safekeeping of the essence of truth. Thus the rising of the saving power appears. Heidegger concludes that technology once shared the root techné with a broader practice of poiésis. Technology (techné) brought forth and revealed that which was true and beautiful through the poetics of the fine arts. It is in the realm of the arts, therefore, that we can practice the questioning of technology in the hope of revealing the truth, which modern technology habitually conceals through the order it imposes on the world. Because the essence of technology is nothing technological, essential reflection upon technology and decisive confrontation with it must happen in a realm that is, on the one hand, akin to the essence of technology and, on the other, fundamentally different from it. Such a realm is art. But certainly only if reflection upon art, for its part, does not shut its eyes to the constellation of truth, concerning which we are questioning.